Cheryl FrancavigliaCheryl Francaviglia began training at Standing Ovation School of Dance where she attended national dance conventions and competitions studying under choreographers such as Joe Tremaine, Sheila Barker, Joe Lanteri, Wade Robson, and Tyce Diorio. She graduated from Rowan University with a BFA in Education and Child Drama, along with a Dance Concentration. During her time at Rowan, she was Captain of the RU Dance Team, performer for Rowan’s Dance Company, and in 2009 Cheryl was awarded the Dr. Joseph Robinette Theatre and Dance Medallion. She continued her dance training performing with Reading Phillies Dance Team and studying at the Koresh School of Dance. She has taught and choreographed for various studios, where she is continually recognized and awarded for her entertaining choreography. Cheryl is currently a first grade school teacher and participates in dance projects throughout the area such as Fringe Arts and Koresh Artist Showcase Series. .
Fallon Gannon, originally from Rome, NY began her training with Stephen and Canan Jackson and Delia Foley, A.R.A.D. Under the direction of Ms. Foley, Fallon studied the Royal Academy of Dance syllabus and completed exams through Advanced I. While studying with Ms. Foley, she also had the opportunity to dance with the Mohawk Valley Ballet, performing many full-length ballets. She furthered her training at Pittsburgh Ballet Theatre's Pre-Professional Program directed by Marjorie Grundvig and Denis Marshall. Upon completing this program, Fallon was awarded a Presidential Scholarship to attend the University of the Arts, where she graduated with a BFA in Ballet Performance. During her time at UArts, she had the opportunity to perform works by: Douglas Becker, studying the Forsythe technique; Scott Jovovich; Iquail Shaheed; Sara Procopio; and classical ballets restaged by Anastasia Babayeva. She also received a scholarship to study GYROKINESIS® and received her teaching certification under Miriam Barbosa with the assistance of Jennifer Binbord Johnson. Upon graduating, Fallon has had the opportunity to perform with BalletFleming, Dance Del Bello, Arch Contemporary Ballet, and Albany Berkshire Ballet. Alongside performing, Fallon loves teaching and has been a teaching artist in Philadelphia for the past eight years. 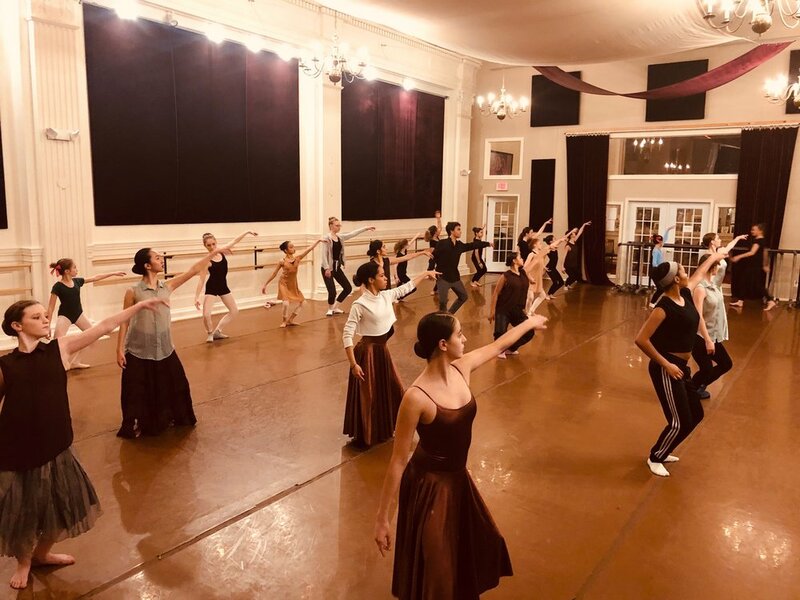 Additional teaching credits include: Philadelphia Dance Academy, The Rock School for Dance Education's Rock Reach program, The Philadelphia School, Germantown Friends School, and University of Pennsylvania's Penn Ballet and Arts House Dance Company.